Solshare Energy is a cooperative-controlled corporation with the goal of growing community-based renewable electricity generation in BC by engaging residents and investors in projects that offer financial, social, and environmental returns. Solshare Energy is a project of Vancouver Renewable Energy Co-operative. Vancouver Renewable Energy Co-op (VREC) first began exploring the idea of a community owned solar energy project in 2006. We wanted to make owning solar energy systems more accessible. Some people wanted to own solar but couldn’t afford the cost of a complete system, didn’t own a house or owned a house but didn’t have a suitable roof. In Europe, thousands of people were owners of renewable energy systems through community co-ops, and we wanted to do something similar here. However, in 2006 it was not economically viable. As the price of photovoltaic equipment and utility rates changed, we began to create the framework for BC’s first cooperatively-owned solar energy project. We applied to the BC Utilities Commission in 2014 for an exemption that would allow us to sell electricity to third-party customers. In 2015, we installed our first project and filed the documents with the BC Securities commission that would allow us sell investments to the public. In 2016, we sold our first offering of public shares and our first power plant came online. Rob Baxter – Solshare’s Founder and CEO is Rob Baxter. Rob is a co-founder of Vancouver Renewable Energy where he has provided consulting and project management services for renewable energy systems. He has been in the solar energy industry since 2004 and helped initiate and complete the first grid-tie photovoltaic installation in the city of Vancouver. Prior to that he owned an IT consulting firm that worked with clients across North America. He is an active member of BC Sustainable Energy Association, a board member of Society Promoting Environmental Conservation, and teaches a course on solar energy for Langara College Continuing Studies. Rob has an MBA from the University of Western Ontario. He has also completed photovoltaic training at BCIT and ISO 14001 auditing courses accredited by IEMA and ANSI-RAB. Rob has appeared on CityTV, Global TV, CTV and CBC, discussing sustainability and energy issues. He has also spoken at regional green building conferences. Niki Westman (CFO) Niki is a Chartered Professional Accountant (CPA, CGA) with over 20 years of experience in accounting for environmental organizations, community economic development, social finance, social services, local and sustainable agriculture, and the health care sector. For a decade, Niki was the Finance and Accounting Administrator for Ecotrust Canada, a non-profit and for-profit social enterprise that supports conservation economic development initiatives in BC, including micro-hydro power projects in First Nations’ communities. In the early 90s, she worked in the Energy Management branch at Ontario Hydro in Toronto, where she assisted with energy audits, and produced reports providing analyses of energy usage and suggestions for energy conservation in commercial buildings. The installation of projects will be handled by VREC Staff. Maureen Cureton – Early in her career in business and sustainability, Maureen managed development of an organic recycling technology. Later she was a Project Manager at Rocky Mountain Institute—a world-renowned ‘think tank’ on market-based solutions for sustainability. Since then she’s worked with hundreds of impact ventures, and managed Vancity’s Energy & Environment portfolio. This included energy-efficiency, and renewables projects. Co-author of 3 books on sustainability, Maureen’s taught business and sustainability courses for UBC, Royal Roads University, BCIT and others. She holds an MBA, an undergraduate degree in Natural Resource and Environmental Management, and completed Solar Energy International’s Renewable Energy certificate. 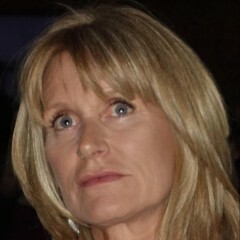 Carol Anne Hilton – Carol Anne Hilton, MBA is the CEO of Transformation International an award winning Social and Economic development company. 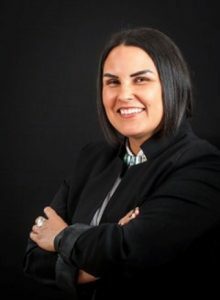 Carol Anne is a recognized leading First Nation’s business entrepreneur with an international Masters Degree in Business Management (MBA) from the University of Hertfordshire, England. Carol Anne is from the Nuu chah nulth Nation on Vancouver Island. Gord Kukec –Gord is an experience executive, having held senior leadership positions at Canadian Airlines, Crystal Decisions and Creo . He is currently on the Board of Directors of BC Ferries and, until recently, BC Sustainable Energy Association. Gord holds a B.A. in Economics (Calgary), M.B.A. (Queen’s) and an Advanced Certificate in Sustainable Energy Management (BCIT), as well as completing further studies in Photovoltaics (Solar Electricity). 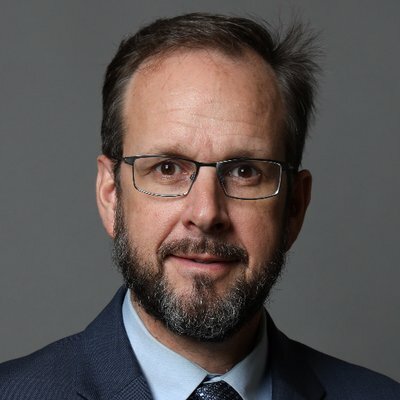 David VanSeters – David has worked as an environmental business consultant for KPMG (National Environmental Practice Leader) and Golder Associates (Global Sustainable Development Technical Community Leader). He also worked as a senior business executive and entrepreneur, having founded or taken a leadership role in more than a half dozen environmental businesses. These have included an organic food delivery service, a building energy efficiency company, an electric bicycle company, a building energy financing company, and a community crowdfunding platform. Alan Woodland – Alan is currently the Team Lead, Business Development, Sales & Marketing at INVERS Mobility Solutions. He is also worked as Executive Director of Carsharing Association, Director of Modo Co-operative, Owner of Woodland and Associates, a Consultant at Vancity Savings Credit Union and an Analyst/Consultant at PRO Financial. Bullfrog Power is supplying financing and equity for our projects. 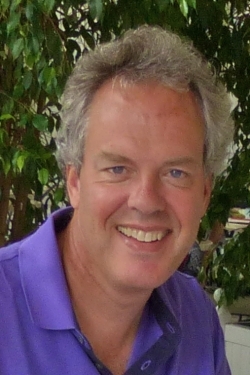 Tom Green ( Former Director) – Tom has a PhD in Ecological Economics from UBC. He has 15 years of applied work experience on research questions regarding resource management and sustainability policy. Masha Doubrovskaia – Masha Doubrovskaia studies Natural Resources and Conservation at UBC. She is also chair of the BCSEA Vancouver Chapter Communication and Marketing Subcommittee.